Whoops, looks liek I forgot to announce the new monthly item too. For scale purchases over $20 this month, you'll receive a Gold Stork! Use on a female and her next breeding will produce 8 eggs, allowing you to keep all of them if you have space. There will be no breeding cooldown either! This event will run until the 30th of April! 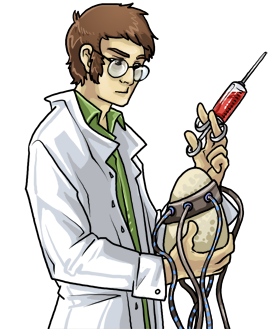 And in lighter news, Xylax redrew our scientist, too. Woohoo! 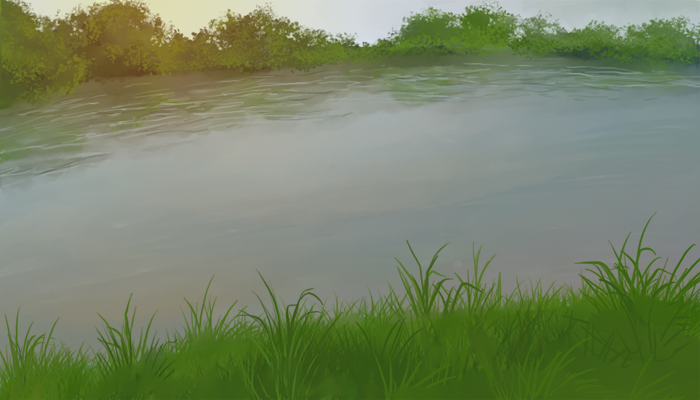 Also, the lovely Xylax, in honor of my birthday, has redrawn a few images around the site! Megaraptor has been redrawn! Yay! At the top of the news page, as you can see, is a nifty new ticker! Here I'll post mini updates like bug fixes and other small fun stuff (that don't really require a full news post!). Thirdly, the boards will now start auto deleting topics over 6 months old (ignoring stickied ones, posts on the guide board, etc). They only count as 6 months old after the last reply - not when the topic was posted. The first topics will get deleted in 6 months time, by the way, since it will start counting from now. And finally we have a new board for over 13s - the guides board! Hopefully this will stop the Help board overflowing with stickies. 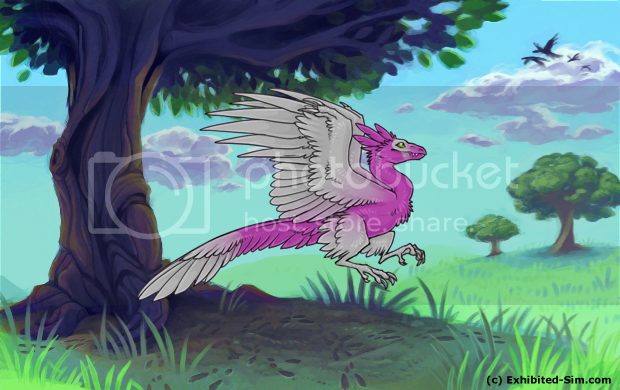 You heard that right.. Archaeopteryx is here! The river fishing sonar now auto refreshes (you can just leave it open and it will refresh itself! Player shops have a slight change - if you have an item priced at $0 (whether by accident or otherwise) then the item won't appear for sale to anyone else as a security measure. This means you won't be able to "sell" items for $0 anymore, and also means any new item you put in your shop will be priced at $0, rather than $9999999. Shelves have gotten "sections" so that I can add more kinds of collectables for different seasons, aaaand.. Fishing is now unlimited - meaning, you can fish as many times as you like per day providing you have enough uses on your nets. However, it's a waiting game now. Once you start fishing you'll have to wait - critters move around the river every five minutes and if you're lucky they'll end up scurrying or swimming across to your portion of the river! Once they get there, a fish icon will appear on your sonar and you'll be able to choose a part of the river to use your net in. That's a 1 in 3 chance and if you're lucky you'll land it in the right place! To go with this, I bumped up the chances for fishing net alerts. As well as this, if you buys jars you can put your catch in a jar and plop him on your shelf! You can checkout the different species by having a look at the river portion of your shelf. And one last thing - every 12 hours, the wildlife organization will be seeking a new species, and will pay out a set reward. The rewards are limited however, so you'll need to turn in your catch before all the rewards have been paid out! * Chat names that are "New User" (auto given on signup) will make the users change their chat name before they can enter chat. * Topics now have numbered replies and you can click the little number link to have a link to that reply. This should be handy if you want to link other people to a certain reply in a topic. * Enclosures now cost more as you have more enclosures. This was discussed on the boards and works as follows: Enclosures will cost $20,000 per enclosure you currently have. So if you have no enclosures, your first one will be free, which will help newbies get on the ladder. If you have five, it would cost $100,000 for your 6th, etc. I have a couple of announcements today! Firstly, the monthly donation item has changed to a six pack of Energy Drinks! This item comes with 6 uses and each use will give your dino another 5 battles for today. There's also some new clothes in the clothes store. Some of the clothes are just undergoing a few tweaks right now but I'll update you when that's done!